A sampling of projects I have built and assisted with. A tiny retreat cabin I built. It has a pull out canvas cot, a folding desk/shelf, and a covered porch with a clear roof. 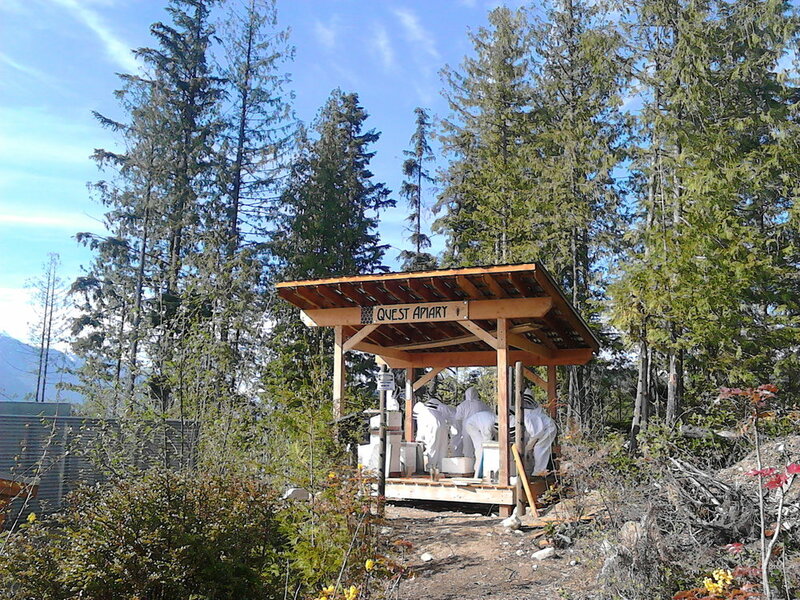 An apiary I built for Quest University Canada. It keeps 4-6 honeybee boxes dry and easily accessed, while the electric fence deters bears. The first few feet of wall going up on a cob structure I designed at OUR Ecovillage, where I was a guest instructor in the summer of 2016. 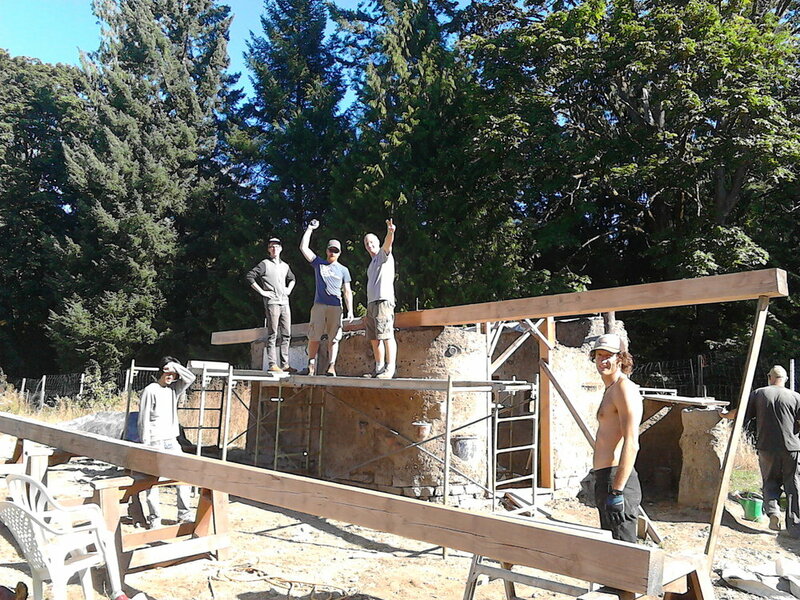 Lifting our roof beams in place with students on the "garden cob", which will later be 3 season accommodation for guests or staff. 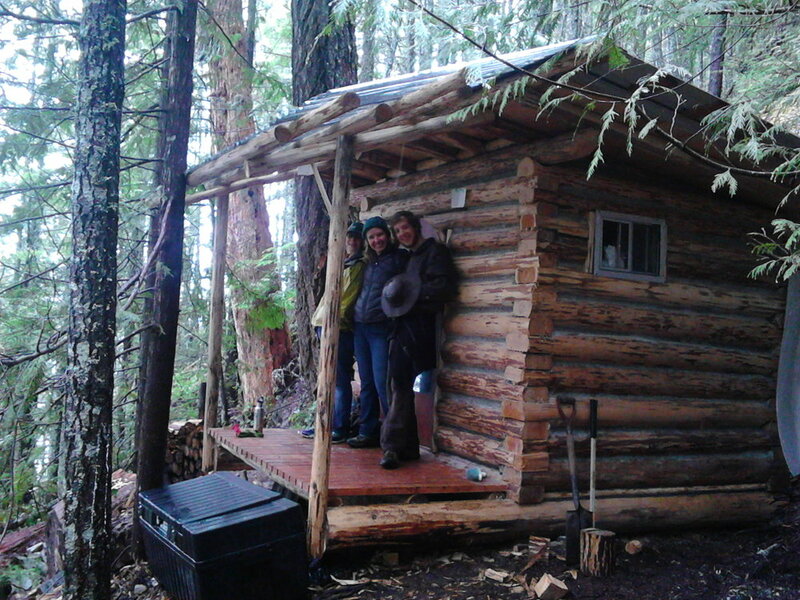 Rafters and roof decking being installed on the "Garden Cob" on Vancouver Island. A cob wall project I facilitated in Mexico. 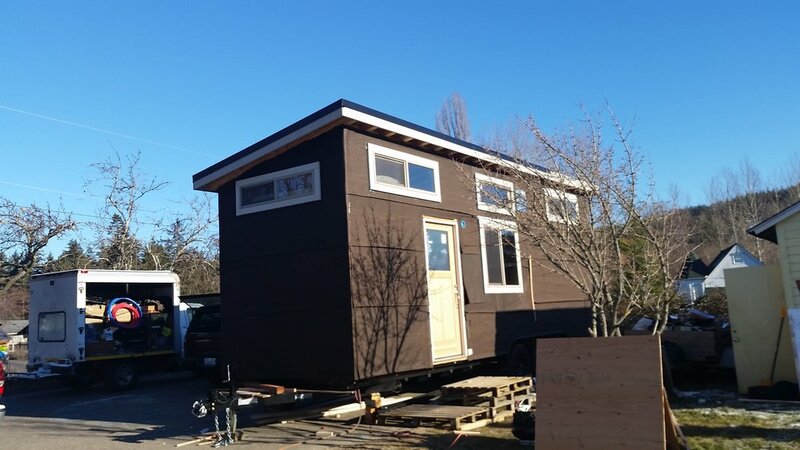 An in progress tiny house my dad and I built for a client.